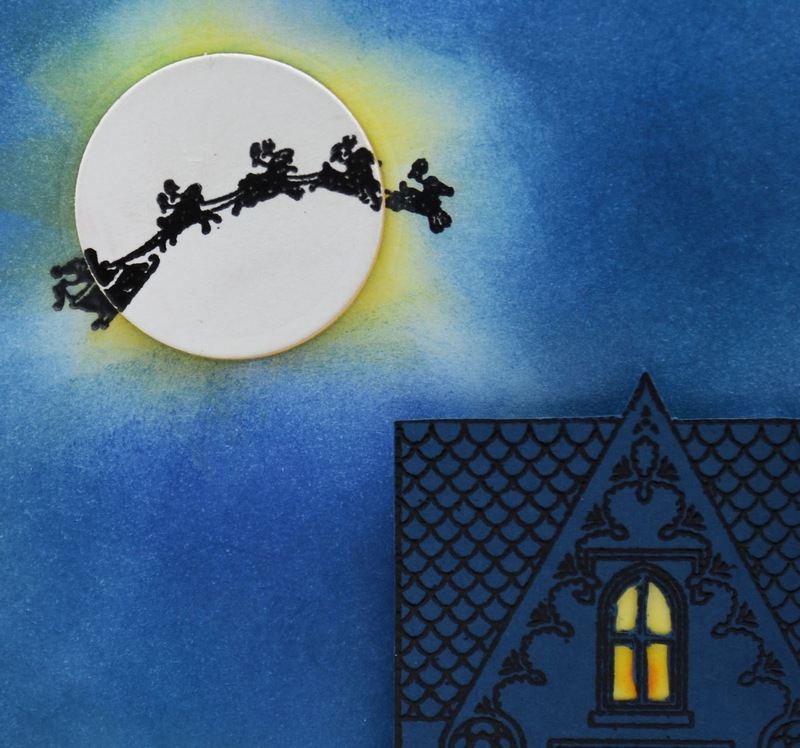 This first card was inspired by the stamp of the Santa's sleigh silhouette. I got my stamp from A Muse, but there is a WMS version that you could do the same thing. The card is pretty self-explanatory, but there are a couple things that are hard to see in the pic. The house is fussy cut and popped up a bit. I cut out the window and put the yellow bit behind it for candle glow. The moon is also cut out and popped up a tiny bit. I hit it with a little pearl dust for moon shine! The background is lots and lots of blending of almost every dark blue ink I had. Whew! 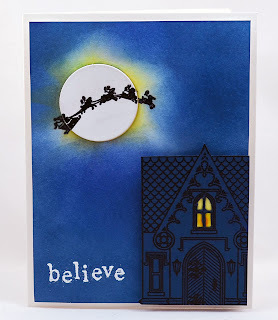 I embossed the "believe" sentiment and had lots of messy embossing (I guess I didn't wait long enough for the background to dry). This time, I actually like the messiness! 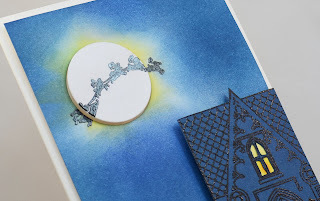 And the base of the card is a sparkly paper from Mark's Finest Papers. It's so pretty and has a lovely sheen to it. 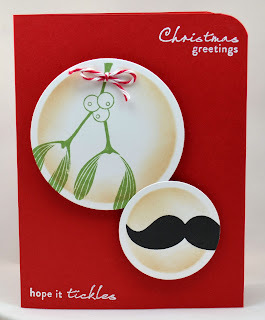 Of course, I had to use the WMS sentiment "hope it tickles" and my mistletoe stamp to go with the Christmas mustache theme. I don't have any mustache stamps, so I printed it off the web. for visiting and have a great week! OHHHHH, JJ! Do I ever love these!!!!!! That house card is so amazing, sooo sooo amazing! I just love how the window and the moon GLOW. 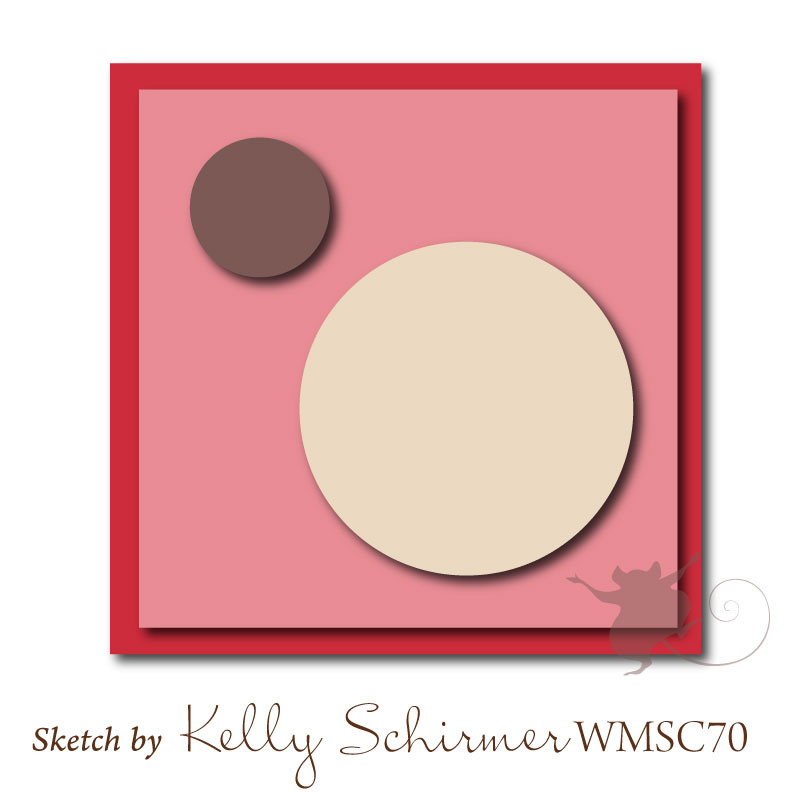 Brilliant idea with this week's sketch!!!! It's like I can feel the winter chill! And that moustache card...with the mistletoe and the SENTIMENT! Cracking me up! That poor guy with the everlasting moustache, heeee! Awesome job this week. PS... I did not write this long comment just because you called me a sweetie. ((I do not take bribes.)) But it sure did make me SMILE :)! WOW!! Absolutely WONDERFUL! LOVE your design and your take on the sketch is so creative and so FABULOUS!!! Super job this week too! Brilliant!!! Both so different. I adore the believe card - the house with candlelit window is super and santa flying in front of the moon - just fantastic. However, I just love the mustache on the second card! Works brilliantly with the mistletoe and hope it tickles sentiment! Hehehe, what a fabulous funny card! Love that moustache, and the sentiment is perfect for this! Love the santas sleigh ride too, very magical! 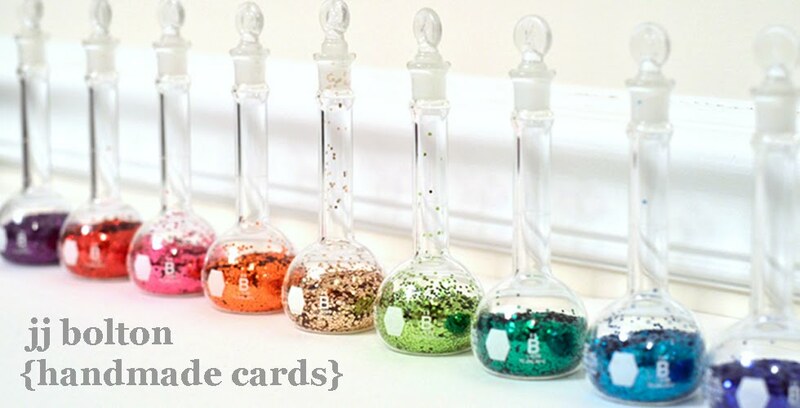 What brilliant cards! Your santa house scene is fab but your mistletoe-moustache combo just had me laugh out loud - love, love, love it! I had a similar vision using the cottage with the "flying Santa" and I love the way it turned out!! Both of these are adorable, thecspooky cars is perfect for this sketch.....hope you have a super week! omgosh, I'm still giggling at 'hope it tickles' - that's too fabulous! I love the off-set images on that card. And the 'believe' card - it just makes me happy looking at it. I love every bit of it. I LOVE your Believe card!! It is just amazing: it looks just like a dark night with the moon glowing bright!! Brilliant idea!! I didn't get a chance to comment on your cards last week but wanted you know I think they are awesome. The Believe card is so COOL. LOVE your background and how you did the house with windows that glow. Great take on the challenge--a well deserved Top Mouse Winner! LOL! 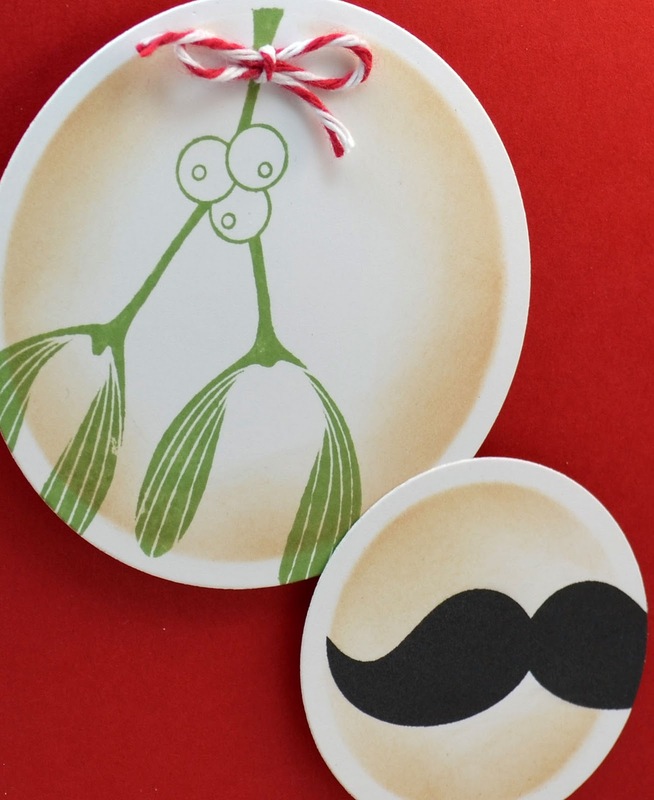 Your mistletoe and mustache card is brilliant!